Gresham, Oregon, is nestled snugly between Portland and Mount Hood, with the Columbia River to the north—a location that offers a bounty of different local ingredients for the city's many restaurants. Romantics will find a few perfect options in Gresham, with a wide range of menu options and cuisine styles and warm, cozy atmospheres; perfect for a night out with that special someone. There are several romantic restaurants in Gresham, Oregon. Boccelli's Ristorante is located in downtown Gresham and specializes in Italian cuisine. 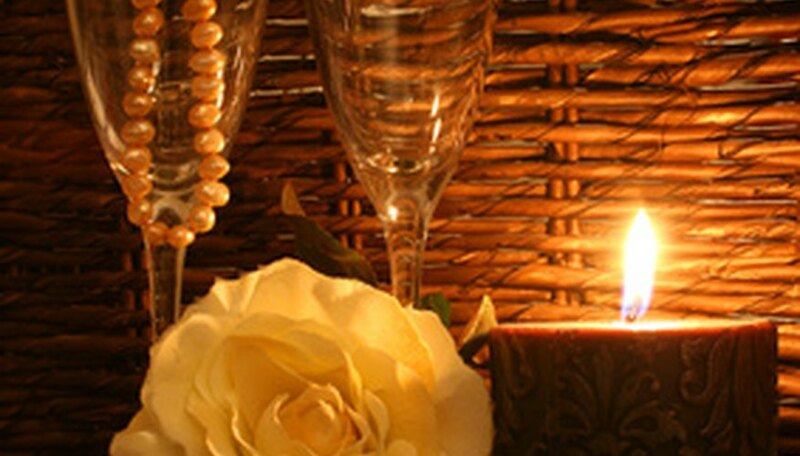 The restaurant has an airy yet cozy feel, with candlelight providing warmth after sundown. Boccelli's serves more than 25 pasta dishes using local ingredients, as well as steaks and vegetarian items; the gnocchi is fantastic. There is a small wine cellar with an extensive wine list, and make sure to save room to sample the fabulous dessert menu. Boccelli's is open daily for lunch and dinner. Koji Osakaya is located on Hogan Road near Stark Street in northern Gresham, and serves Japanese food, including sushi, tempura, teriyaki, curry and udon. The sushi platters and combination dinners are perfect for two people to share, and the miso soup is excellent. Koji is open daily for lunch and dinner and offers a cozy setting. Bryant Station is one of the few fine-dining establishments in the Gresham area. Located on the east side of downtown Gresham, Bryant Station uses local and regional ingredients to create delicious steaks, seafood and pasta. The rosemary pesto rack of lamb and wild salmon with tarragon butter are among the menu highlights. There are nightly specials, some of which are in short supply and require a meal reservation. The restaurant is open Wednesday through Saturday for dinner, with a \"bistro hour\" kicking off the first hour of operation each day, featuring specials on wine, beer, cocktails, appetizers and entrees. Adams, Robert. "Romantic Restaurants in Gresham, Oregon." Dating Tips - Match.com, https://datingtips.match.com/romantic-restaurants-gresham-oregon-6328120.html. Accessed 18 April 2019.